We don’t need to tell you how awesome Wikipedia is. 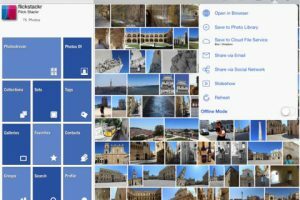 It is not always accurate, but it is a great place to start your research. You are going to have a very hard time reading everything the site has to offer. But you could always learn to read faster. 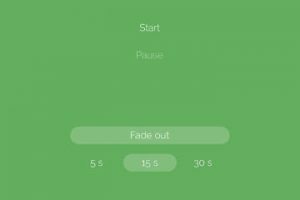 Quickipedia happens to an elegant application that helps you read the content from Wikipedia faster. Quickipedia shows one word at a time at over 40 different speeds to help you become a faster reader. You get to read up to 1000 words per minute if you practice with this app long enough. 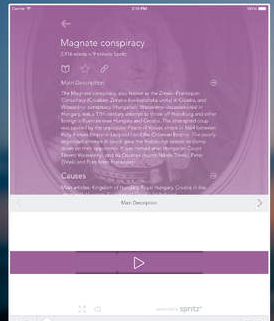 You can read in fullscreen, star and advance articles with gestures, and view remaining time or words remaining. The app also lets you open the HTML of your favorite articles. 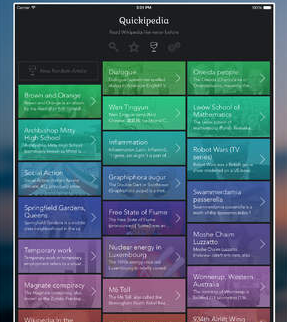 Quickipedia is a universal app with a gorgeous article view and a distraction-free full-screen mode. It is powered by Spritz.